"This was a fabulous surprise portrait to a local person who organises dog walks and events. 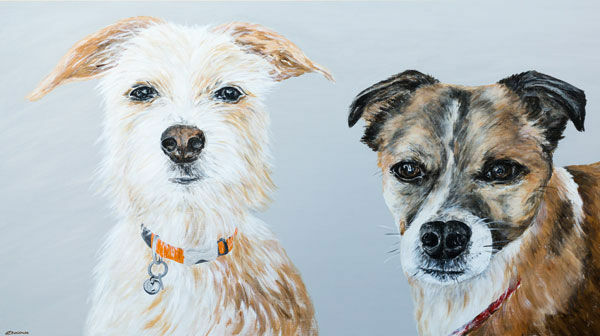 All of her group secretly clubbed together to arrange this painting of her own two dogs for her as a surprise gift." Thanks so much - she is such a humble person and so deserves this gift from all us grateful dog walkers!"